Filters & Firewalls - Make surfing more enjoyable and secure! Note: All this software is for Windows unless otherwise noted. A very good "Proxy"-type filtering app, actually filters & rewrites a page's HTML (strip out plopups, banners, background music, mess w/ cookies, disguise your browser version/referrer, etc.) before it gets to your browser! The list of things you can do with this program to take control of your surfing is incredible. A good, GPL request-blocker. It runs as a proxy, but doesn't actually modify any HTML--it simply kills connections to any (ad-)server, path, filename or IP address specified in the blockfile. Mess with cookies and hide your browser version/referrer too. Text-console only; change its filtering behavior by editing a cfg. file. Guidescope, while related to the Internet Junkbuster, is a separate product. It is easier to set up, and queries a central database of ad-servers so there's no more editing/downloading a .cfg file to block new pests. Easy to use, removes most Web advertising, tracking cookies, Web Bugs and pop-up windows. Additional features include auto-downloading of up-to-date URL filters and the ability to filter harmful content-types (e.g. 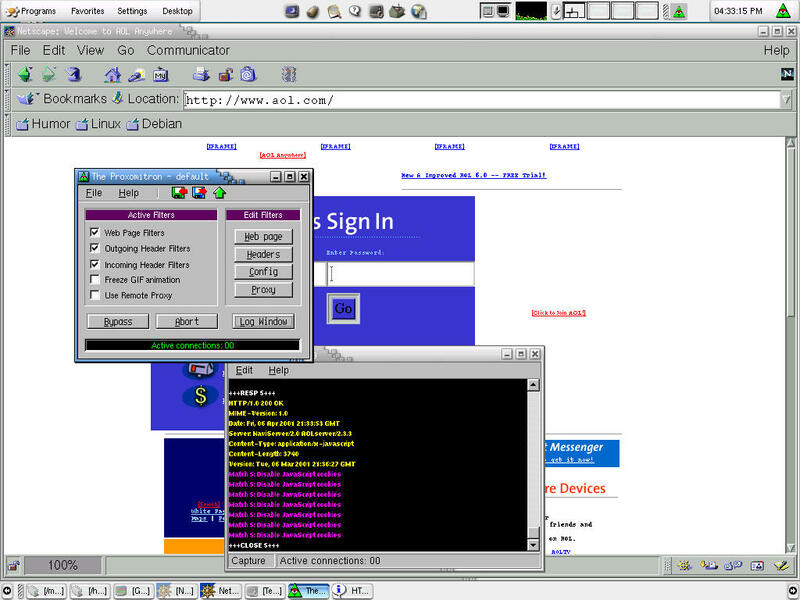 ActiveX, .VBS, etc.). More Windows, Unix-alike, Mac and multiple platform ad-filtering tools are listed at "Removing adverts from web pages". Panicware Pop-Up Stopper - Free; also offers a pay suite that includes Pop-Up Stopper, Cookie manager, Web evidence eliminator, and firewalling against malicious Web scripts. ZDnet's CookieCop (Freeware, ~ 1MB) - Selectively accept or reject cookies on a server-by-server basis, also selectively block graphics from certain servers. Program selectively accepts/rejects cookies on a server-by-server basis, or by expiration-date. Cookie Crusher (shareware, $19, 30-day free trial) - Does all the same as above, and can also examine cookies to inform you of their function (ad tracking, online shopping, site tracking). ZoneAlarm (free! Commercial version also available) This unique program works as a "firewall in reverse"--it alerts you to programs sending data FROM your computer and allows you to selectively block certain programs (e.g. Spyware) from connecting to the Internet. Highly recommended! Conseal PC Firewall (shareware) Allows you to block packets by domain, and by their destructive potential (block Winnuke, smurf, etc. attacks).